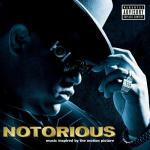 Kick In The Door lyrics - The Notorious B.I.G. I gots to talk. I gotta tell what I feel. I gotta talk about my life as I see it! You're delicate, you better get, who sent ya? Biggie, "How are you gonna do it?"